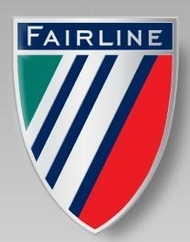 The Fairline marque was born of one man’s vision and passion for excellence. Jack Newington, the company’s founder, was a man committed to the highest ideals of quality and integrity; more than that, he had the rare ability to take his own high standards and values and weave them into the fabric of what was to become the hugely successful enterprise that is the Fairline of today. His son, Sam, led the company for 25 formative years and was from the same mould, driving it forward with a single-minded commitment to quality and innovation. Even now, forty years on, those original and essential core values still drive everything we do. Large, luminous public spaces, grand private staterooms that combine light, space and air to stunning effect and everywhere, the dazzling interplay between the finest materials and state-of-the-art design accents and features. The Squadron 68 may make many fresh statements in style, furnishings, decor finishes and on-board facilities, yet her handling and performance are still precisely what you expect from a Fairline; the superbly quiet, comfortable and confident ride. The long central window running the full length of the sunpad on the foredeck not only floods the forward cabin with light, but adds a unique look to the exterior. Up top, the huge flybridge is a masterpiece of practical design, with fabulous entertainment facilities and two large and luxurious sunbathing areas. Building on the success of previous models in this eminently successful range, the Squadron 58 takes the experience of Squadron ownership to new heights. Sumptuous accommodation is just a starting point, because customised options are at the heart of this remarkable craft. Aft cabin and multiple mid-cabin options enable you to shape her to suit your own personal boating lifestyle and entertainment preferences. From the expansive, impressively equipped and beautifully proportioned flybridge, to the fabulously appointed forward cabin, this remarkable new Squadron sets completely new benchmarks for both luxury and quality. The immense master stateroom with its private bathroom is a magnificent place just to relax in, as well as sleep, while the two further double cabins offer similar levels of luxury to family and friends. Add the large, social spaces in the saloon and up on the flybridge and there is nothing to cramp your style. Her impressively spacious flybridge has all the touches you’d expect from a boat of this outstanding pedigree, you’ll be amazed by how spacious this 48-footer really is; the class leading master stateroom with its en-suite bathroom is placed amidships, allowing the enormous, panoramic hull windows to flood the space with light. The Phantom 40 is a recent addition to this increasingly comprehensive series of flybridge cruisers. Strongly influenced by the runaway success of the Phantom 50, and drawing upon many of her design insights, the 40 combines the practicality required for serious, long-distance cruising with the spaciousness and comfort expected aboard any true Phantom. Building upon the huge success of the Targa 62, this model incorporates yet more exciting developments, including an innovative, industry-leading, patented design for the retractable roof, once again setting new standards in this class. A particular highlight is the wide, atrium-style access to the lower saloon, creating an impressive entrance and beckoning you towards the opulent interior. With three sumptuous and spacious double cabins, an enormously accommodating cockpit area for relaxing and entertaining in style and up to 36 exhilarating knots on tap, the Targa 52 is a luxury long-range sports cruiser guaranteed to turn heads as you power effortlessly past. Her leading-edge innovations and powerfully dramatic styling led the way and the all-new Targa 47 inherits the key elements of her elegant design philosophy, including the signature feature of all our GRAN TURISMO models. Occasionally, new technology emerges that demands to be embraced and Volvo Penta’s revolutionary IPS (Inboard Performance System) with its unique forward-facing propeller units, is a good example; it delivers around 15% faster acceleration, 20% greater top speed and up to 30% better fuel economy. With her generous headroom below deck, two spacious and comfortable sleeping cabins, a luxurious and beautifully appointed saloon, a well-equipped galley, an integral tender garage and the ability to reach up to 39 knots, this is an extraordinary craft. The Targa 38 handles every bit as well as her looks promise and she delivers impressively quiet and powerful performance. The swept-back radar arch gives the flowing lines of this boat a razor sharp finish, while the long, panoramic hull windows add to the distinctive, streamlined look.